2 pouches of GotMeals Cauliflower Pomodoro. 7 oz of green peas. Add green peas to 3 cups of boiling water, cook for 20 minutes or until tender. Drain water when it is cooked. 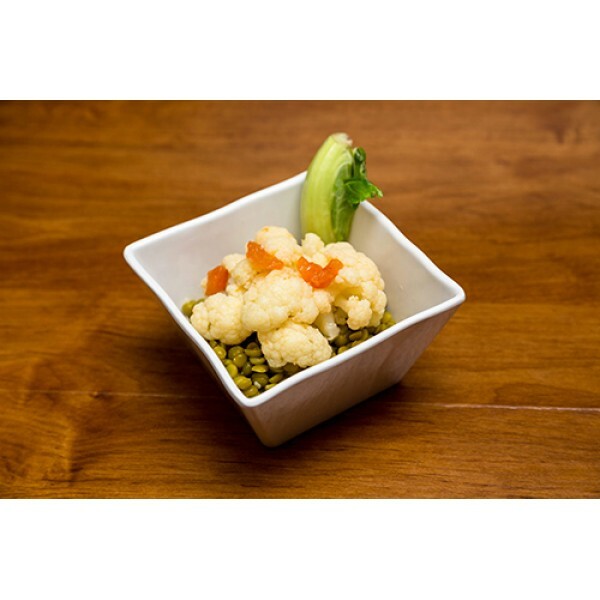 Plate the green peas top with GotMeals Cauliflower Pomodoro. Soak peas for 1 hour or more prior to cooking to reduce cooking time.